This post was submitted Greater City Providence reader Peter Brassard. If you’ve written something you’d like us to consider posting, please contact us and let us know. 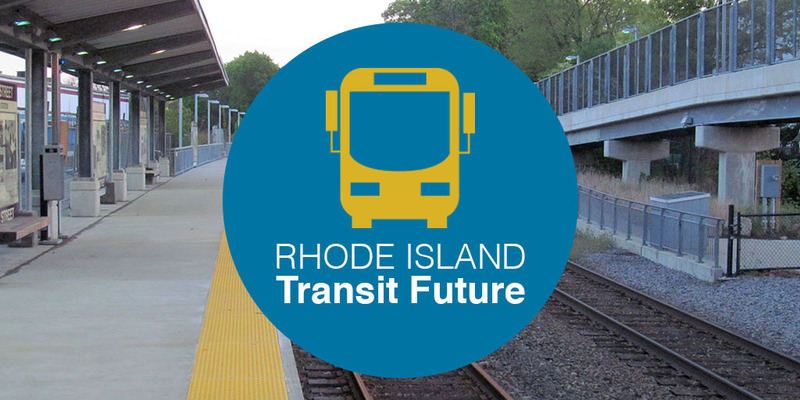 This is third of a series on ideas for Rhode Island’s transit future. Unfortunately, TF Green Airport and Wickford Junction Stations are still not doing well, only attracting about 400 passengers per day each partly because of marginal service. The following diagram revises my commuter rail or shuttle train proposal from 2012. I reduced the stops from the 2012 plan and am proposing that all MBTA trains to and from Boston originate or terminate at Providence Station. For this discussion, I’m calling the instate train RI-TRAIN, which could originate in Central Falls, or later Woonsocket, and terminate in Wickford. Regular frequent service is essential for successful transit. Trains are fast. The time it takes to get from Dexter Street in Pawtucket to Providence Station by car is nine to ten minutes. With traffic it can be 15 or even 20 minutes. On RIPTA’s R-Line rapid bus it’s a 25-minute+ excursion. By train, it would take just six minutes. The same speed relationship applies along the Northeast Corridor (NEC) line within Providence’s urban core cities. The NEC provides a strong instate transportation spine that intersect with major arterial streets that have bus service. If we want people to drive less, then transit service has to be energized and trains with station stops in walkable communities that have connecting bus routes is one way to accomplish that. As I have advocated previously, adding train stations in high-density walkable urban areas is vital for increasing ridership and to create new or reinforce existing multiple commercial and residential hubs in the state. The larger Olneyville-Federal Hill-West End vicinity has about 28,000 people, who would be within less than a twelve minute walk or a five minute bus ride from an Olneyville train station, with a minimal 5% use that would be 1,400 passengers per day. Other walkable places that also have bus service, which in effect extends their catchment area, are Elmwood-Reservoir Triangle with 16,000 people, Downtown East Greenwich-Cowesett-Potowomet with roughly 6,000 people and Cranston Street 14,000. Central Falls is a special case since it’s so compact with roughly 20,000 residents. A Central Falls East station near Broad Street, would serve approximately 8,000 people, who would not be within walking distance to the proposed Pawtucket-Central Falls station. Also Central Falls East would be a better location for terminating the RI-TRAIN line rather than the Pawtucket-Central Falls Station. With dwell time and schedule adjustments, a Central Falls East (CFE) terminal would get local Rhode Island trains off of the NEC and out of the way of Amtrak and MBTA trains. Even P&W (Providence and Worcester RR) freight trains could bypass a RI-TRAIN sitting at the CFE station by using a second track. Walkable neighborhood train stations don’t require expensive parking lots that cost $15,000 per space to build or garages that cost $30,000 per space. The proposed Cranston Station near Park Avenue would require parking, because like Wickford this area has excellent highway access and has less population density near the rail corridor. The aerial photo with graphic overlay of Olneyville at Broadway and Harris Avenue suggests a station arrangement that would also work in other walkable urban neighborhoods. A RI-TRAIN would not require long double-decker trains for 1,400 passengers or 900-foot long platforms. For initial RI-TRAIN service, a single DMU (Diesel Multiple Unit) train car, such as the 84-foot long Stadler Regio-Shuttle RS1 or something similar by another manufacturer that seats roughly 100 and with standees has a capacity around 180 people would be sufficient for starting service. Another possibility might be Battery Electric Multiple Units (BEMU), which are being tested in Japan currently. The minimum starter platform would only need to be 200-feet long to accommodate up to a two-car DMU train. (Morton Street Station, Boston) When demand increases beyond a two-car train, platforms could be extended to 400-feet for three- or four-car trains. Sidings should be designed and built longer for future expansion(s) upfront. Not including existing stations or the planned Pawtucket-Central Falls Station, I’m proposing adding seven modest train stations. ADA ramps (though some stations might require elevators instead of ramps). The costs for small stations should be significantly less than Wickford or Warwick. It has been suggested that when Rhode Island starts its own train between Wickford and Providence, the Pawtucket-Central Falls station would be considered an extension of rail service and would likely qualify for FTA (Federal Transit Administration) New Starts funding. With the Woonsocket extension, new stations could be added incrementally, perhaps in conjunction with another infill station already along the route as extensions of the system to qualify for the federal funding? Example: if a Central Falls East station is built, could an infill station at Park Av Cranston be built as part of that expansion? RI-TRAIN would connect multiple population and commercial centers and link them at a speed not available with other transit modes. For the RI-TRAIN or any transit system to succeed, besides providing regular frequent service, perceptions of transit need to be shifted. Marketing and providing incentives is critical to help people to make the transition to using mass transit. It’s also important to consider having a line that goes to the east bay, preferably close to the east bay bike path, which used to be train tracks anyways. Lets be thankful that the route 60 bus exists. For the RI-TRAIN to succeed, frequency and fare are key. Also there needs to be a focus on multi-modality at each of the stops. Also Zoning, Zoning, Zoning. Zoning is one of the big reasons why train modal share in the highest in the world. There needs to be TOD adjacent and spurring outward from the stations. You don’t want the land use near the stations looking like the area near South Attleboro CR station, which only exists because it’s near I-95 and there isn’t a station in Pawtucket. Thanks Peter, well thought out and excellent starting point for discussion. The rail corridor spine is the place for “rapid transit” where so many people live and work, not the useless “bus rapid transit” idea on Route 6 out to 295 or even paving over the median of Route 10 for the few buses that use that highway. This time, we already have most of the infrastructure and the stations can be kept simple as Shoreline East in CT did to get started. One point of disagreement I have is dismissing RIPTA as “temporary” help. I think it must be an integral part of the plan, as capacity on the one track and rolling stock limitations will inevitably mean we’ll likely want supplemental bus service, especially to locations like the airport (where people come and go throughout the day) and Wickford Jct where South County connections are essential. We also need a combined RIPTA-commuter rail fare product for this to work, its been talked about for a decade or more, all think its a good idea, other places can do it, we need to make this happen, and soon for the mbta service we do have now. You may want to look into servicing Quonset point. I know Electric boat, Toray and Joblot are all in a growth mode. EB all ready has over 3,500 employee and is working to having an employee base of over 6,000 to 8,000 full timers on 3 shifts. I can for see a parking problem in QP with regards to EB (I’m an employee). If asked? Maybe EB (by way of the Navy) will foot the bill for a station?? Having a reliable form of mass transit would also decrese the “EB 500” (shift change) and the added traffic on the US1, RT403, RT4 and I95. I maintain my position that Wickford Junction never should’ve been built and that the superior station siting was just off 403 at West Davisville. Per Joe’s suggestion, Quonset can’t be served without pulling trains off of the mainline (West Davisville would have allowed for shuttle-to-train or shuttle-to-parking), but as a possible branch service it’s an ideal place to send trains not bound for Kingston and all points south. Wickford Junction was built, so there’s no sense in not serving it now, but I’d argue that there’s no reason to terminate trains there when Kingston is eight miles and a worst-case 12 minutes farther south. I’m pleased to report that construction is officially underway at Kingston and likely to wrap long before any RI train service starts running – and turning trains in Kingston is going to be much less of a logistics problem than it will be at Wickford. Another rail idea? See PBN article on PawSox re-focusing on staying in Pawtucket. Connecticut’s next mass transit project should be extending Shore Line East service from New London to Westerly, R.I., a state panel recommended Monday. Regarding the East Side RR tunnel… this would be a brilliant way to not only connect Providence to McCoy stadium but also East Providence and the East Bay and Newport… maybe one day Fall River and New Bedford. 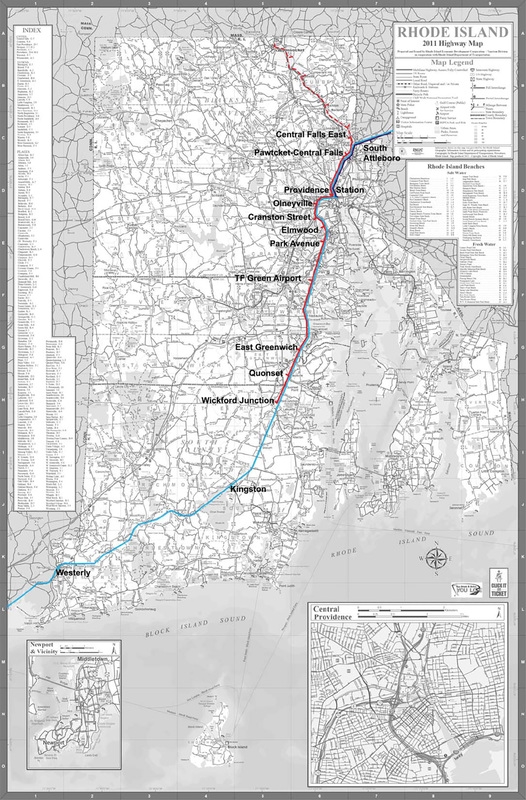 This could be a potential “East Branch” of the RI Rail System. A “hub” could be built in East Providence with parking and spokes extended in every direction (N-S, and W-E), terminating at the base of College Hill, McCoy Stadium, Newport Visitor’s Center, and Attleboro (MBTA). 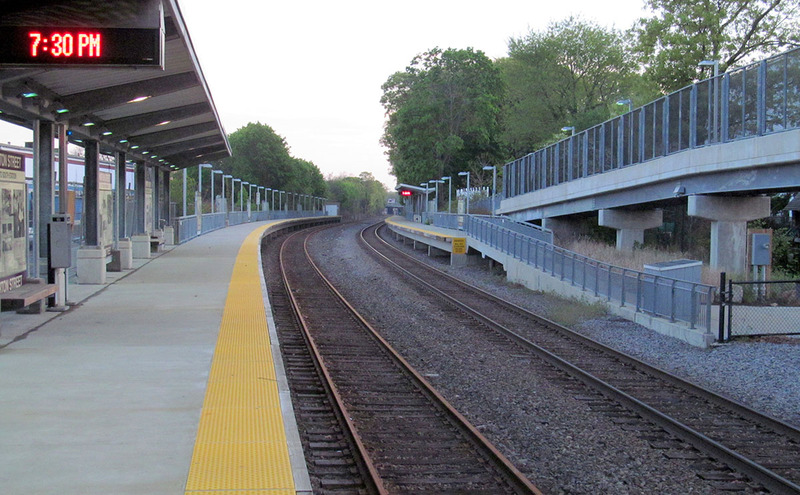 The College Hill station would be easy walking distance from the main Providence Station. If done in cooperation with the PawSox and McCoy revitalization, this has huge benefits to RI, and will connect the East Bay to Providence by rail — making it easier for people to move between the two areas and the elimination of the bus routes. I would like to see the Rhode Island Department of Transportation, Public Transit Authority & Providence not only have Rail Service between Woonsocket, Pawtucket, Providence TF Green Airport & Wickford Junction, but I would like see a Woonsocket, Pawtucket, Providence, TF Green Airport, Wickford Junction Kingston URI & Westerly Line & the Woonsocket, Pawtucket, Providence, TF Green Airport & Quonset Point. 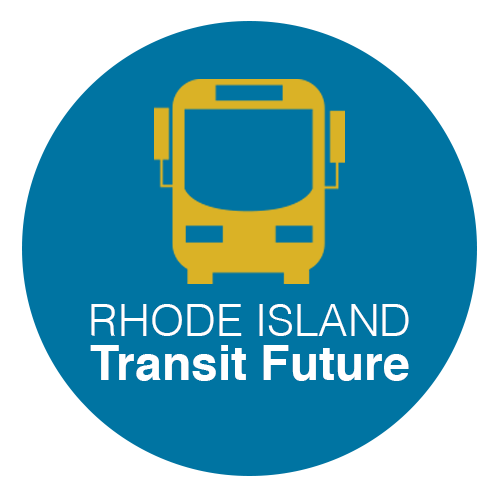 The service should be called the RIDOT-RIPTA-Providence & Worcester Railroad Rhode Island Railway Trans-State Commuter Rail (Woonsocket-Westerly) Line, Trans-Metro Commuter Rail (Woonsocket-Wickford Junction) Line 1 & Trans-Metro Commuter Rail (Woonsocket-Quonset Point) Line 2. Along with my suggestion of RIDOT, RIPTA & Providence & Worcester Railroad developing an intrastate commuter railroad called the RIDOT, RIPTA & Providence & Worcester Railroad Rhode Island Railway Trans-State & Trans-Metro Commuter Rail, I also want to see RIODT, RIPTA & Interstate Navigation (aka Block Island) start a Airport Commuter Ferry Service between Bristol, Newport Prudence & Hog Islands & TF Green Airport at Rocky Point. I would like to see the RIDOT Ferry between Newport & Providence after its’ contract with Seastreak expires, to be taken over by Interstate Navigation (aka Block Island Ferry) & operate as a partnership between RIDOT,, RIPTA & Interstate Navigation with a stop on Prudence Island. I am hoping that the RI Train or my suggested Rhode Island Railway Trans-State & Trans-Metro Commuter Rail-Rapid Transit Lines will use Denver-Type Silverliner V cars.